Donald Campbell is the only person to have broken both land and water speed records in the same year. 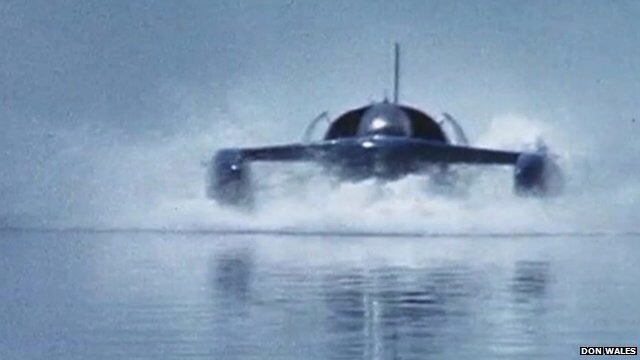 Unseen family footage of Donald Campbell breaking the land and water speed records in 1964 has been restored to mark their 50th anniversaries. That year in Australia, Campbell set a new land speed record of 403.10mph (644.96km/h) on 17 July, and on water he reached 276.33mph (444.71km/h) on 31 December. The film has been restored at Beaulieu National Motor Museum. From 1955, piloting the Bluebird K7 jet-powered hydroplane, Campbell set seven world water speed records. He was killed at Coniston Water, Cumbria, in January 1967 while trying to improve on his 1964 record, at Lake Dumbleyung, by reaching more than 300mph (480km/h). His Bluebird CN7, in which he set his 1964 land speed record on the dry bed of Lake Eyre, is part of a display at the museum. The film, How Long A Mile – which Campbell directed, will be shown in public for the first time at a sold-out event at the Hampshire museum on Saturday.